Off topic, but are you running OTA Corey? Would this mean you now have to de-mod you car to get legal again? Also I am also curious about when we will be able to submit our new PIP schedules. My car is pretty much good to go but from what I have been abe to calculate I will be able to make one more change to my car, I am not certain though. Looks like I will be as I still can't put together enough money to do a proper W2W season. I plan on getting my race license and maybe doing an arrive and drive type deal to get my feet wet. As for my car specifically, the 1.5 pips won't be a big issue as I plan to move into SGT1-3 anyways. The point of the system is to create tight competition. If you are able to pilot Y-car in a way that has it dominating its class and the overall series by a noticeable margin, that means the next time someone else of equal skill level shows up in that same car, they will also dominate. If left unchecked, everyone will buy Y-car in hopes of making it big. So we move the car, so that when driven by the best, the margin of victory shrinks to small amounts to ensure fierce competition till the end of the season. But nothing is done arbitrarily, race results are analyzed and correlated with tuning strategy, personal reflections of the drivers, and other user reviews (at times, data comes in from events south of the border). When someone talks about how “I’ve yet to still do this and that mod” while putting down amazing times, that would certainly make the CCC cautious….. one could just keep their mouth shut and not share their builds publicly, but if that’s how they wanna go about it that’s their choice. If a car you’re driving has been bumped, consider it an achievement and keep at it. I know that no VW or Subaru’s ever been bumped cuz of me, so I’ve got a long ways to go to catch up to you guys…. Maybe in the FRS.. one day? Thanks Serge, I do use it as a way to keep the fire lit. And trust me, I understand what you are trying to say, but looking at the results doesn't make any more sense of these specific changes. I won 3 overall events to Chris's 2. In the shoot-out, anyone with half a brain could figure out Chris was experiencing brake issues in the final rounds and thus cost him a legitimate shot at the title. It seems that these changes were based on one event only.. event #7 @ CTMP. And trust me, I knew that was the nail in the coffin for our cars, which is why I offered to have the data logger in my car for the shoot-out so that way there was REAL data to work with over the off season. Unfortunately, other than Stephen, nobody responded. Why? Honestly though, I don't really mind having our car moved(still don't agree with the CRX), but I don't want to be put at a disadvantage against another car that was pretty damn equal to start with. And if anyone who thinks the C5 Z06 and E36 were not equal, just explain the tire situation to me. remember that the linear formula and weight changes have also been introduced, the 5% charge to the bmw and crx are meant to counter-act the boost they would have otherwise received. but rest assured the corvettes are on the radar, no doubt about that, mayhaps they'll be on the cutting table this year? Who knows. set tire pressures to winning! Last edited by thgear; 02-06-2014 at 01:12 PM. On a completely different subject....I have a question for this question thread. Last year I got a new set of ZII tires. Love them. They still have enough tread left for a number of track days. Question is, will they perform as well as a brand new set? Should I use them up first and then get a new set or should I get a new set and have the year old ones as back up? I think how it performs compared to brand new ones depends on how many heat cycles are on your z2s. And if it is worth it or not to get a brand new set depends on how close you are to others in your class in terms of lap times and how important a potential class win is to you. I did all 7 regular season events last year. Very few street miles on them. As for where in class - 3rd in GT3 two years running. And lap times between competitors in GT3 were often very close! A season finish in first or second in class would definitely be nice . If newer tires make a difference, I'll get them. It's just something about tires I simply don't know. LOL It would be nice if an OTA representative came out and said that, but that would mean we are penalizing the driver and not the car - something that OTA doesn't do.. These decisions should be based on data and not opinion. All I can hope is that Chris P. gets tired of running sub-par r-comps(R888) and throws on some street tires, or better yet, TD's or AD048's. This would prove one of two things; Either the Vette needs to be moved as well, or we were unfairly "whacked". ...an E46 330Ci in T1 would be "interesting". I was one of the people saying a big "WTF?" following CTMP as well Corey, but (as I'm mentioning above) I was pointing the finger at more than an E36. In any case, I think the same thing would have happened at SMP with the same car too. High(er) hp in low classes will keep on being a mole whacking exercise. Edit: Perhaps the FAQ thread is the wrong place for this? Last edited by Saj5DJ; 02-06-2014 at 06:11 PM. The driver adding to power to weight should help even things out a bit I think. Hope you like riding around on your door handles. How many pips to add little wheels to the door handles? It isn't an authorized mod in the rule book, so Mod 1. I mean....it wouldn't be the ugliest thing out there... Maybe visit Can-Alignment to get her pointed in the right direction and you're all set! It seems that these changes were based on one event only.. event #7 @ CTMP. 1/2/3 all feed into each other. I don't say this to be critical of the rules - all three of those problems are challenging to overcome in the setting and format of the series. 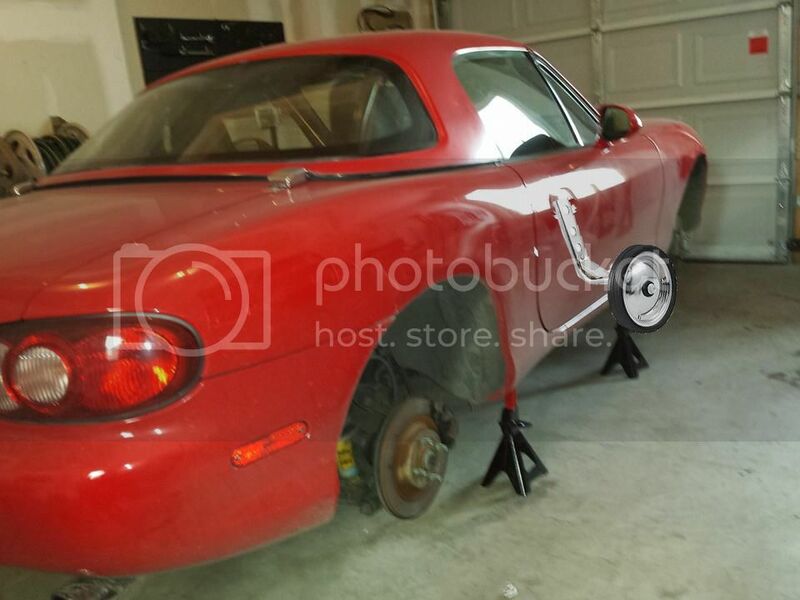 Since the Miata's door handles scrape the ground anyway it sounds like they are a "suspension component", sort of like a roll-focused jounce limiter. "Other suspension modifcation", 1 sPIP.